100 Year Celebration …A Big THANK YOU to all who attended. Sunday, October 22, 2017 we celebrated our 100th Anniversary, something we are very proud of. 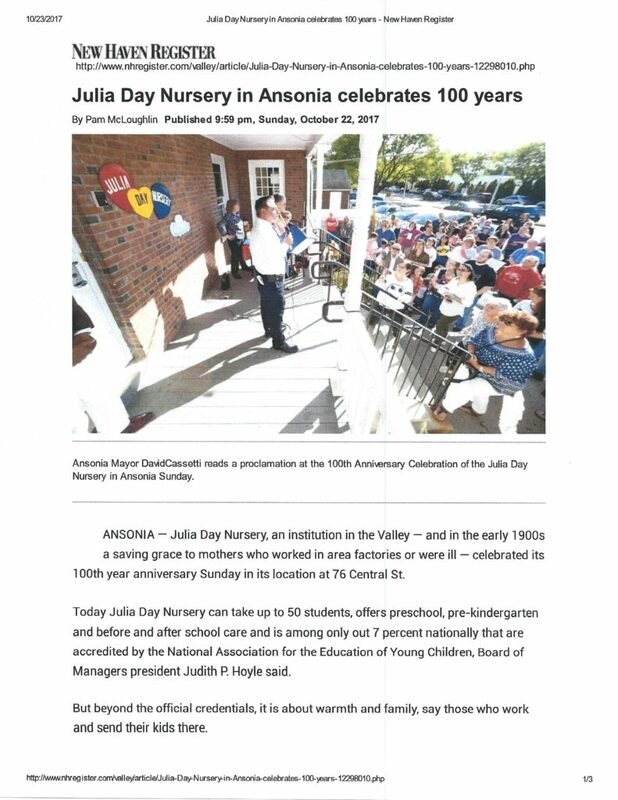 We would like to take a moment to thank State Senator George S. Logan, State Representative Linda Gentile, State Representative Nicole Klarides-Ditria and Ansonia Mayor David Cassetti (a Julia Day alumni), for helping us celebrate. We truly appreciate them taking the time to recognize Julia Day. Trip to Buttermilk Lane Farm in Orange!